Approved for Radiance Wood Products and other thermally modified woods. Counter sink head with nibs. Upper smooth shank to prevent splitting pressure. 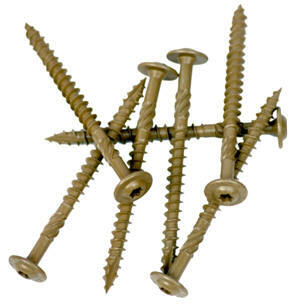 Serrated threads are designed to prevent splitting or cracking. Tek Point for self drilling. 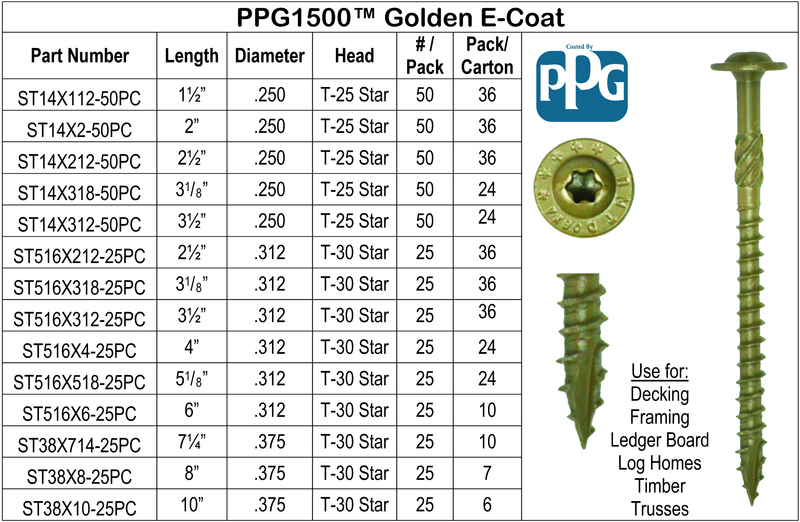 Brown color PPG1500™ coating. Perfect for use with EcoShield™ and other Deck Tiles. Color options available. Designed to prevent splitting or cracking. Washer head provides strength and greater pull-out resistance. No pre-drilling needed. Type 17 (Auger) Point. Driver bit included.